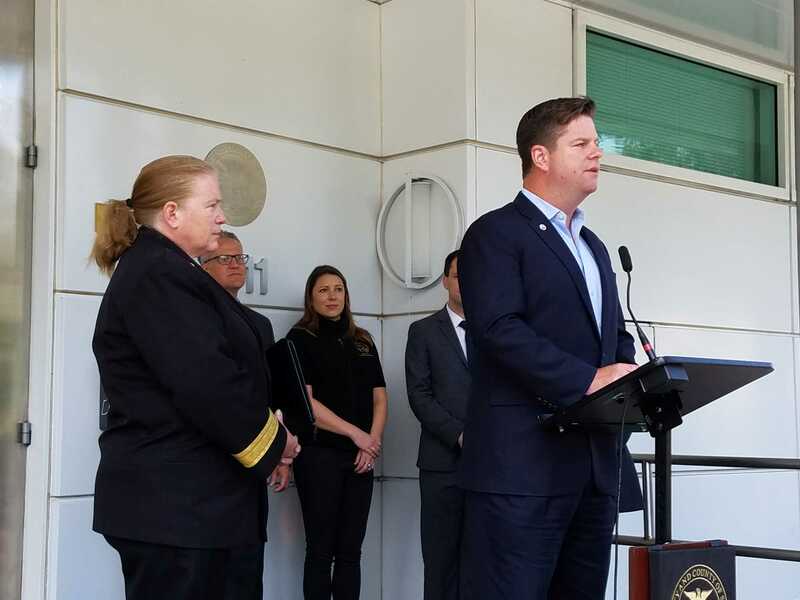 San Francisco Mayor Mark Farrell on Thursday unveiled his $11 billion budget for the 2018-2019 and 2019-2020 fiscal years which addresses cleaner streets, homelessness and public safety. During the last three months, Farrell has revealed piece-by-piece elements of his two-year proposed budget, such as $13 million for hiring 44 street cleaners and purchasing new equipment, $6 million to hire 10 clinicians to distribute medication to help people on the streets suffering from heroin addiction, and on Wednesday, announcing $8 million to hire and train 90 911 dispatchers. The budget will double its efforts with $1.2 million to support the Homeward Bound program, an initiative that reunites homeless individuals with family members. Homeless navigation centers will continue to get funding in Farrell’s proposed budget. His budget calls for the opening and operation of four new navigation centers at an annual cost of $15.2 million. Farrell’s budget also focuses on a plan to hire 250 new police officers over the next four years and $7.5 million for new police vehicles and $3 million for the department to buy tasers. His budget will also support immigrants facing deportation by providing them with legal representation over the next two years at the cost of $7.6 million. The mayor’s budget now heads to the Board of Supervisors Budget and Finance Committee, which Supervisor Malia Cohen chairs. By the time the full Board of Supervisors approves the budget, a new mayor should be in place to sign off on the budget. The City Charter mandates that a budget must be passed by the board by Aug. 1.